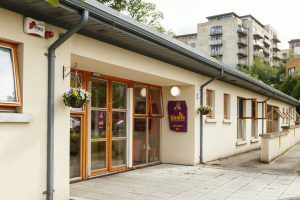 Our Stepaside Dublin crèche is located off the Enniskerry Road, just up from the Lamb Doyle’s crossroads in the centre of Belarmine/Aiken Village, two combined quiet residential areas at the base of the Dublin Mountains, with easy access to commuters from Sandyford, Leopardstown and Kilternan. 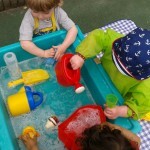 Our crèche has a very homely feel and we offer boundless opportunities to learn through imaginative and creative play. 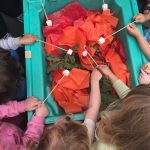 We offer a broad curriculum underpinned by Aistear and Siolta frameworks encouraging children to learn through play to become active learners. We also have a wonderful arts and crafts room which our budding Picassos enjoy every day! All the rooms are on the ground floor and have easy access to our well laid out, secure outdoor play area, for the children to enjoy all year around. 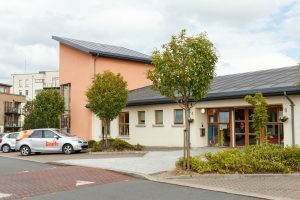 We have a strong connection with the local neighbourhood and parent partnership is very important to us, we have an open door policy at the centre and we host a number of parent and family events throughout the year. We are open all year round from 7.30am to 6.30pm, Monday to Friday except for public holidays. 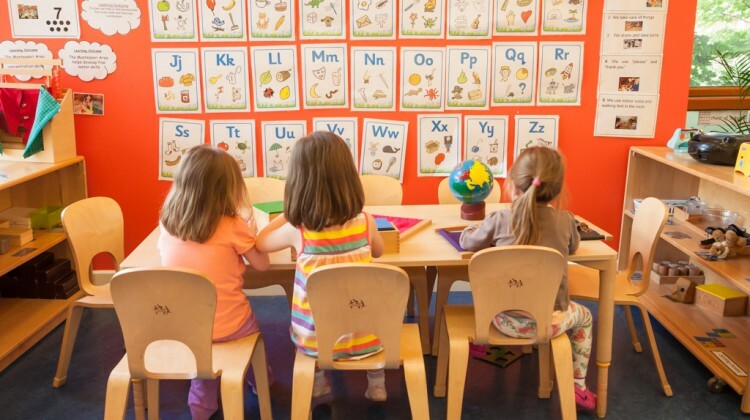 We offer the free preschool years ( ECCE – Subject to availability) as well as after-school care with pick up from the local primary schools. Why not visit us and see for yourself, call (01) 254 1368 and we’ll arrange a time that’s convenient for you. Working with the Department of Youth and Children’s Affairs on the Better Start Quality Programme. Supported by the South Dublin Childcare Committee and is also a member of Early Childhood Ireland. 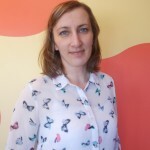 I joined Giraffe as a carer in 2007 at our Stepaside centre, and became centre Manager at Stepaside in 2015. As well as leading an excellent group of carers in Stepaside, I look after all the centre curriculum planning. As a mother of 2 boys myself, I understand the importance of nurturing a child’s independent learning at every stage of development. I have completed a level 6 Diploma in Early Childhood Education. Along with my fantastic team here in Stepaside, we aim to create exceptional learning experiences for all the children! 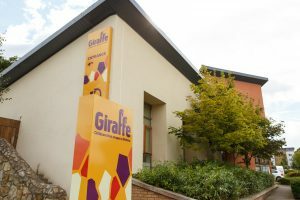 Our daughter Rebecca was in Giraffe for 3 years and started school with lots of the friends that she had met in Giraffe. This helped her to settle into school really well and many of them are still her best friends today.